I saw this sign on The Local Taphouse in Darlinghurst. It reads like you are playing a Call of Cthulhu role playing game. 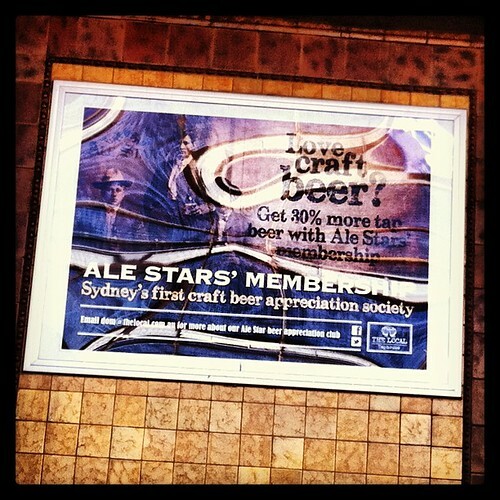 Only when the Ale Stars’ Membership are right! This entry was posted in Photos, Roleplaying and tagged beer, Cthulhu, Lovecraft, photo, pub, rpg. Bookmark the permalink.